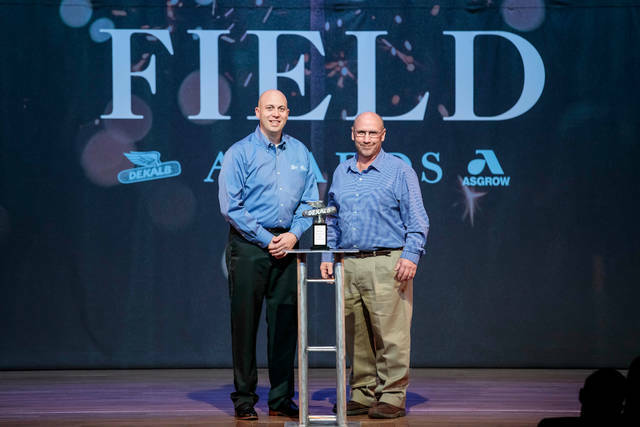 ST. LOUIS, MISSOURI — DEKALB® farmer Don Jackson of Camden captured a first place state yield award in the 2017 National Corn Growers Association (NCGA) National Corn Yield Contest. Jackson achieved a winning yield of 298.50 bushels per acre in the AA Non-Irrigated category with DEKALB DKC64-34RIB brand corn. In all, 7,269 famers from throughout the U.S. entered the 2017 yield contest. Jackson, along with other DEKALB winners, were honored at the 2018 Commodity Classic Feb. 27- March 1 in Anaheim, California, with an awards banquet and private concert featuring country music star Dustin Lynch. In the 2017 NCGA yield contest, DEKALB farmers captured six of the 18 national awards and 156 first, second and third place awards at the state level with 42 yielding more than 300 bushels per acre. The full list of DEKALB winners can be found at DEKALB.com/YieldWinner.